Road trip! 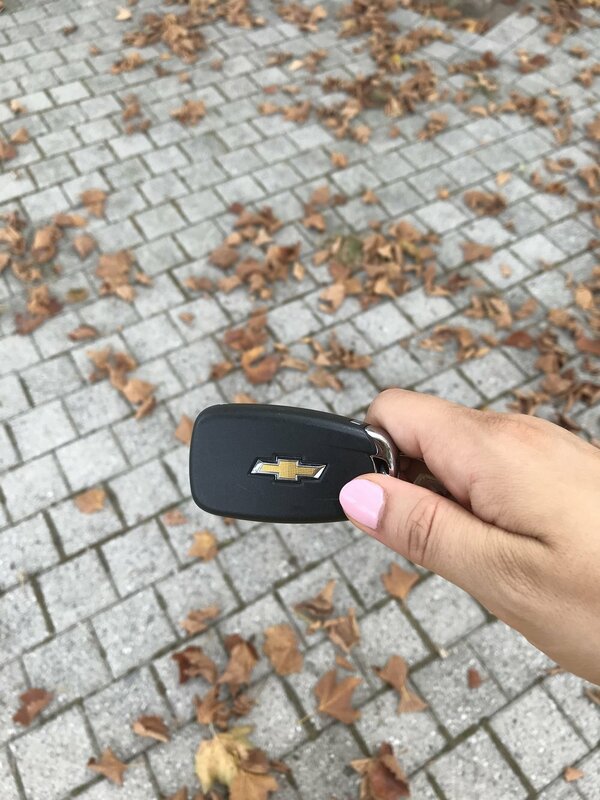 *record scratches* I was so excited to hit the road in the 2018 Chevy Equinox FWD Premier 2.0T for a long weekend but the weather left me scrambling to re-route my adventure! Weekend plans turned into a photo shoot adventure with my mom and the Chevy Equinox. Ready, set…vroom! The first things I noticed about the Chevy Equinox is the chrome trim (available on all models) and the overall roominess of the car. The next was the technology! Chevrolet’s connectivity technologies are front and center, including 7- and 8-inch-diagonal MyLink infotainment systems designed to support Apple CarPlay and Android Auto, as well as an available OnStar 4G LTE Wi-Fi hotspot. Perfect to crank up the music! Ok, we didn’t put them to the test, but when then came up & on it was intuitive and gave us peace of mind on the road. If you don’t already know, my mom and I love to shoot photos. For our first stop, I wanted to get great photos of the 2018 Chevy Equinox. I took my mom to Liberty State Park in New Jersey where we had a breathtaking view of lower Manhattan! It was a bit busy so it took patience to get the shots we wanted. The thing about shooting on location is that is completely unpredictable, there is so much to be concerned with. It’s all about lighting, weather and mood. We had a great time and got some great photos and great drive with Chevy! We enjoyed our drive across the River to Liberty State Park. It’s always fun to have my mom as my muse. Lighting for people is best during the early morning and right before sundown (it’s called “Magic Hour” for a reason. Don’t shoot from one spot, mix it up! Change levels and get low (you might end up sitting on the ground) you can get some really epic shots! From making suggestions on poses to making your subject ‘lol’ you’ll want to share the framing or even the concept of the shot so that they are also part of the creative process. You can learn more about the 2018 Chevy Equinox FWD Premier 2.0T.